A fabulous Edwardian 9 carat Gold Brooch-Pendant dating Circa 1900. 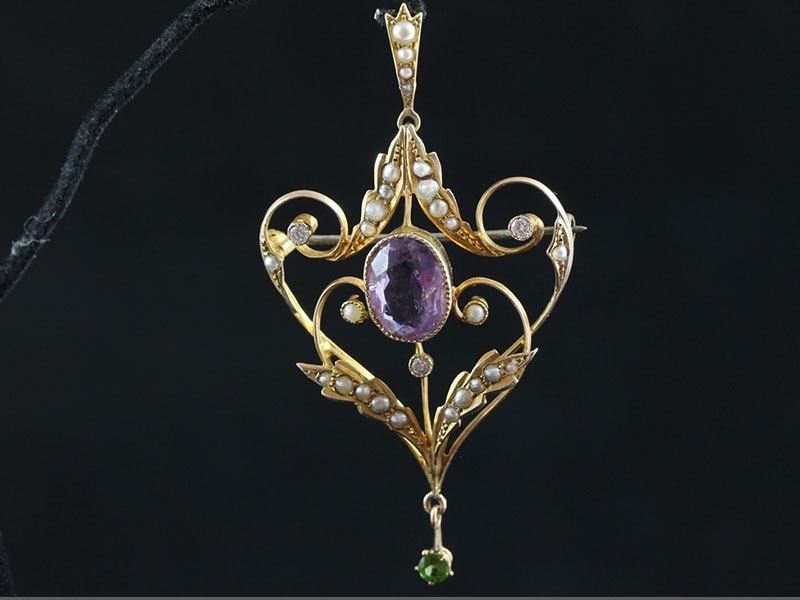 The half Natural Seed Pearl, old mined Diamonds Brooch-Pendant of openwork cartouche design, set with a central oval-cut Amethyst is bordered by scrolling channels of half Natural Seed Pearls, suspending a round-shaped Green Garnet drop below. A fabulous Antique Edwardian Cameo Brooch Circa 1900 depicts classically-featured Bacchante right facing maiden in a high carat Gold bezel suspending a beautiful sparkling .20pt Diamond. 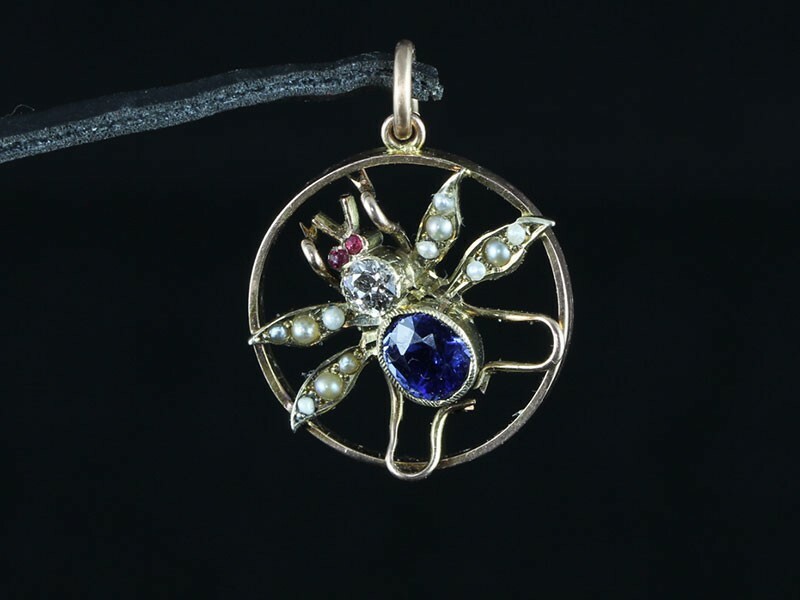 An Edwardian 9 carat Gold Circa 1900 Fly Pendant, the main body collate set with a stunning oval deep rich royal blue Sapphire. The head is set with a sparkling old cut Diamond with two beautiful Rubies for the eyes. 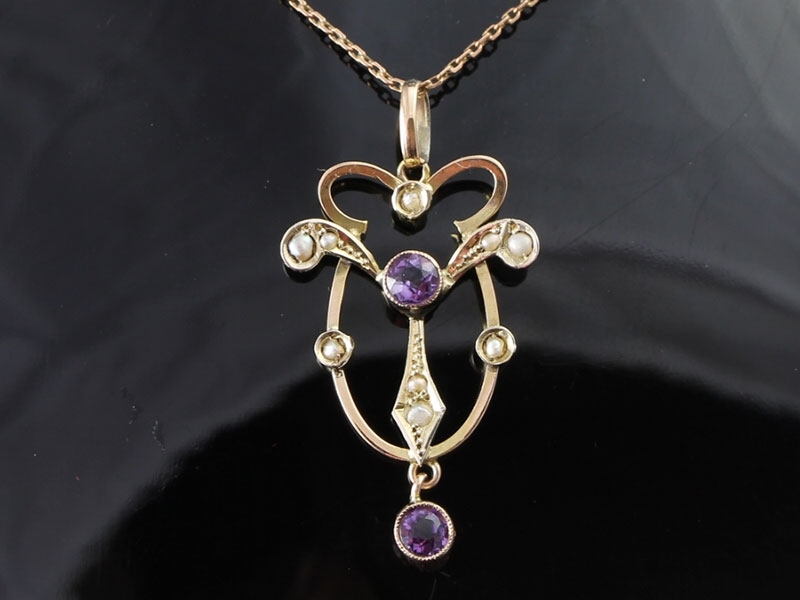 A Stunning Art Nouveau pendant, Circa 1890-1915, features dramatic curved lines with pierced details. 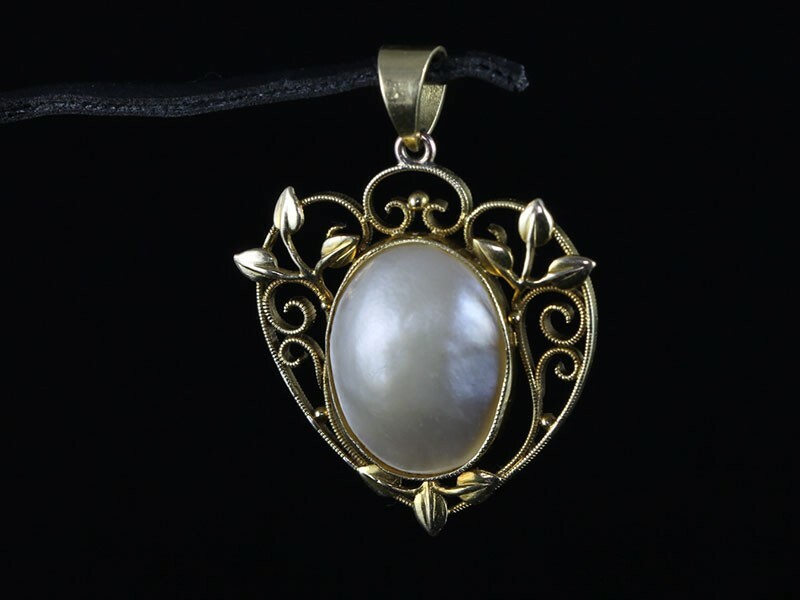 An unusually large Naturally coloured Blister Pearl is bezel set at the centre with an elaborate design depicting flowers which were key elements of this period. 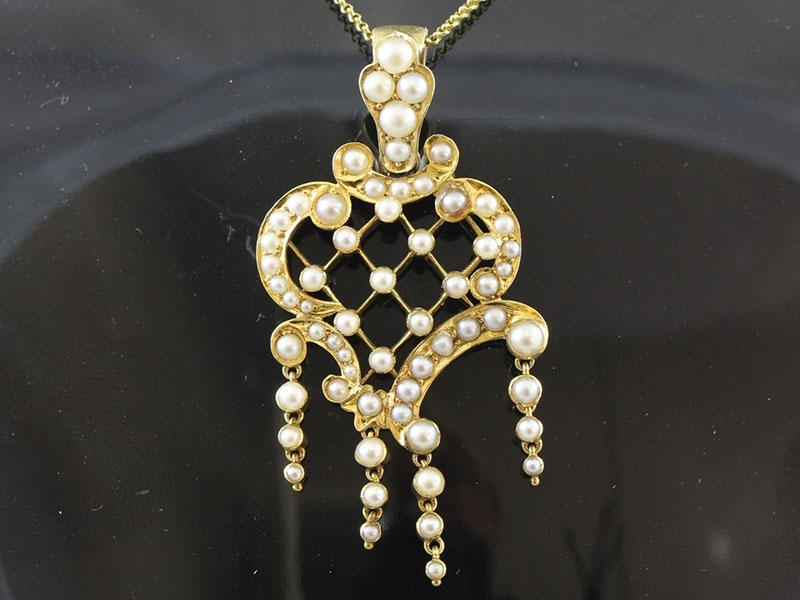 A ravishing Edwardian, Circa 1900, 15 carat Gold Pearl pendant with delicate detailing making this a very individual piece which is set with 60 white Pearls in a fancy openwork design. Let it snow, let it snow, let it snow...! This artfully designed and sculpted snowflake was lovingly created Circa 1800s. 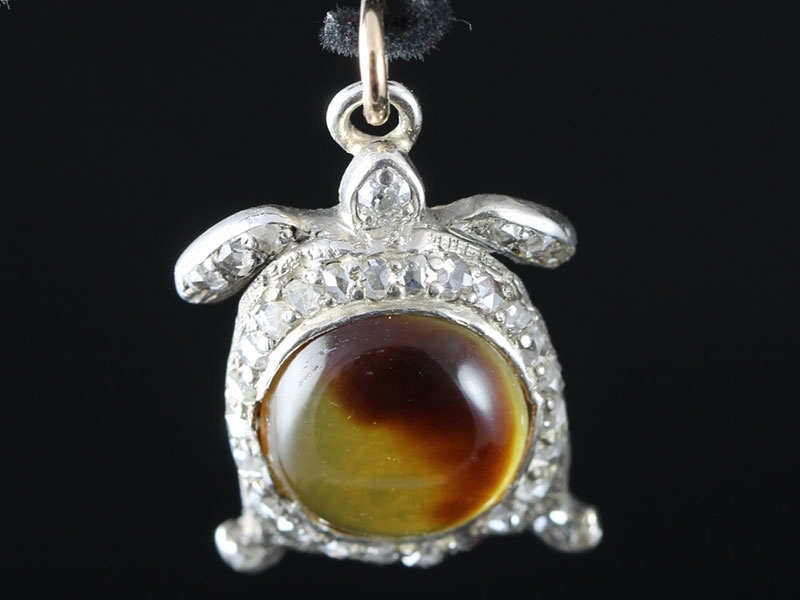 This fabulous amphibian with a tourso of early original tortoise shell glitters with a wonderful closely packed, bright white old mine cut sparkling Diamonds. 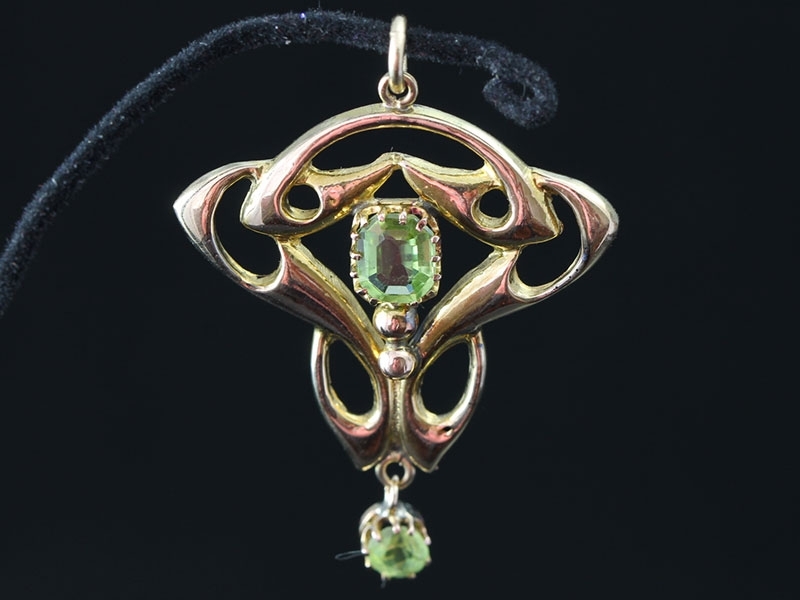 Two bright green Peridots are featured in this lovely 9 Carat yellow Gold Art Deco pendant. A graceful and romantic beauty, circa 1900. 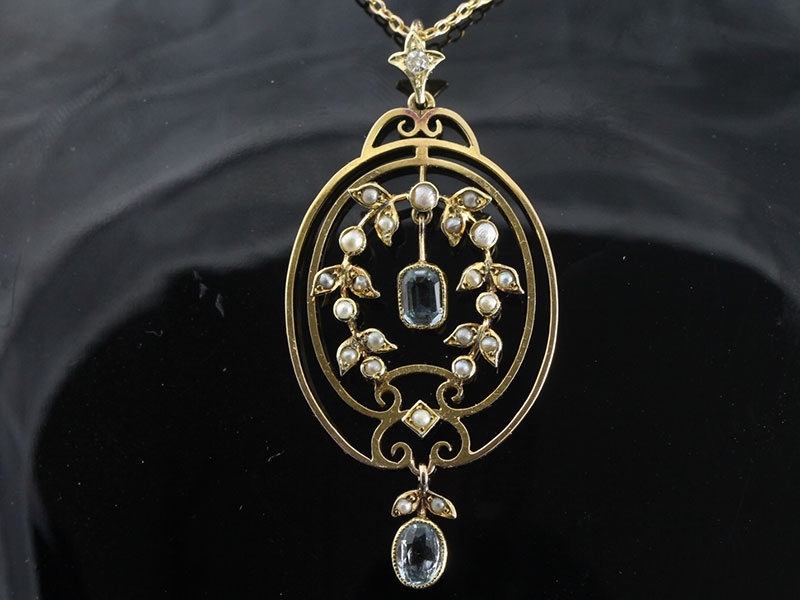 Superb and majestic, this Circa 1910 lavaliere is a refined and gracious beauty. Mounted in 9 carat yellow Gold, the floral motif is a tribute to naturalism. 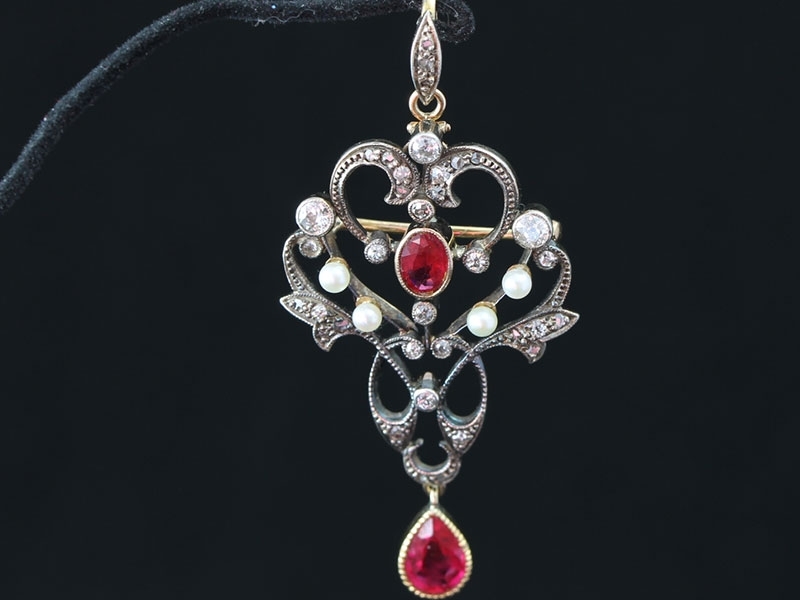 Stunning romantic large brooch/pendant is beautifully designed and rendered with flowing floral and foliate motifs that foreshadow the wonderful designs of the forthcoming Art Nouveau, Circa 1835-1890. 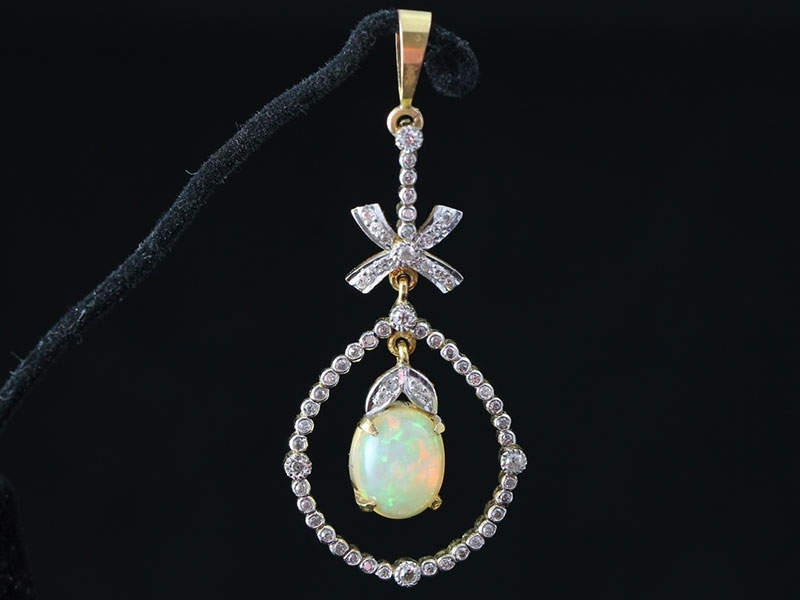 Magnificent Edwardian Diamond and Opal pendant, Circa 1890, is a stunning example of Edwardian jewellery at it's finest. 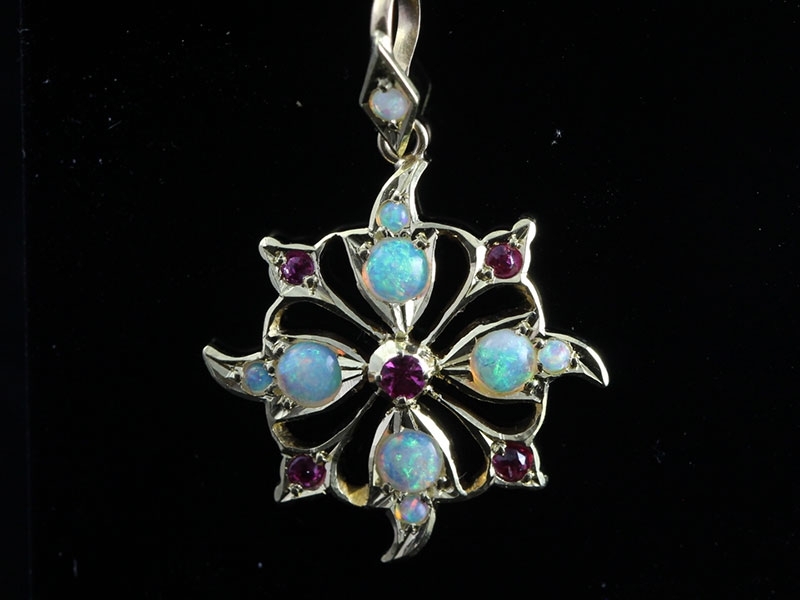 Carousel Of Opals and Rubies, Edwardian 15 carat Gold Pendant from the early 1900's, a delicate stylised snowflake pendant. 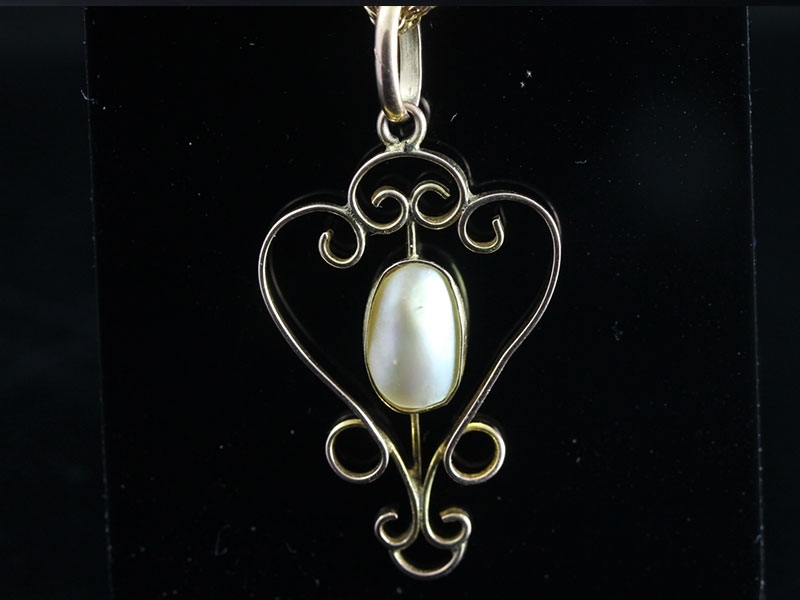 A classical representation of the feminine mystique, handcrafted in 9 carat yellow Gold this wonderful pendant dates back to the Art Noueau era. 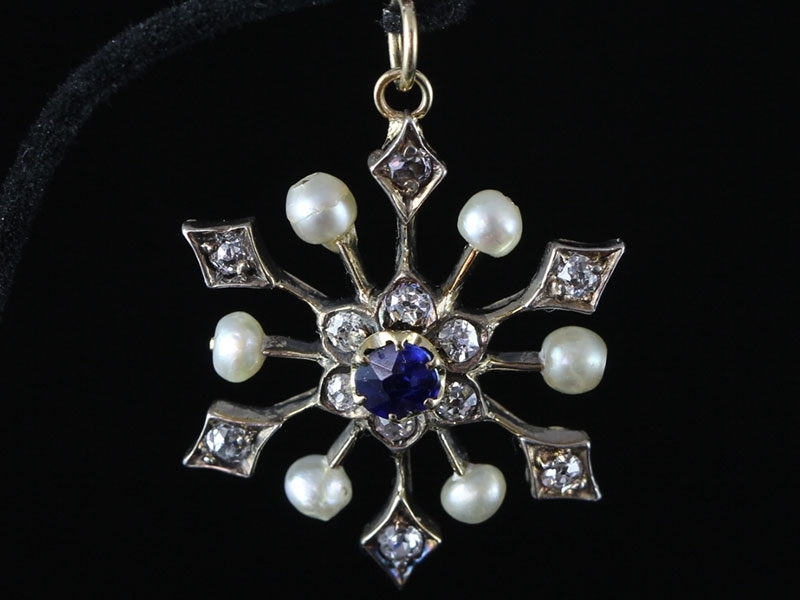 Enchanting Edwardian pendant, Circa 1910, features a pair of glistening sky blue Aquamarines dangling inside and below a classic piereced out floral motif studded with shimmering seed pearls. 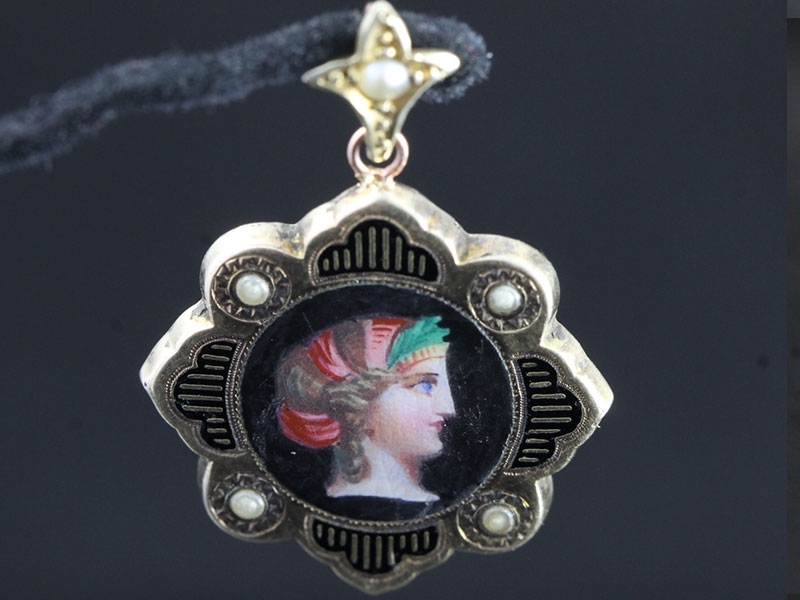 A wonderful classical lady is artfully depicted in an unusual shaped pendant accented with seed Pearls, suspended by a flers de leys designed seed Pearl bail, Circa 1837 - 1901. 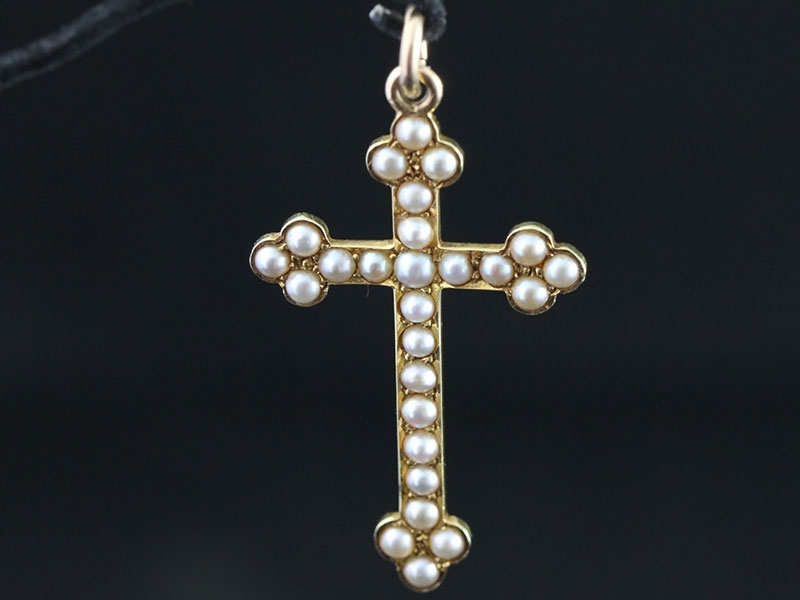 This ladies cross exudes elegance and sentiment. 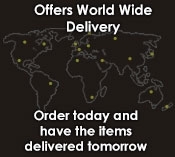 An Edwardian antique treasure that you will always cherish. 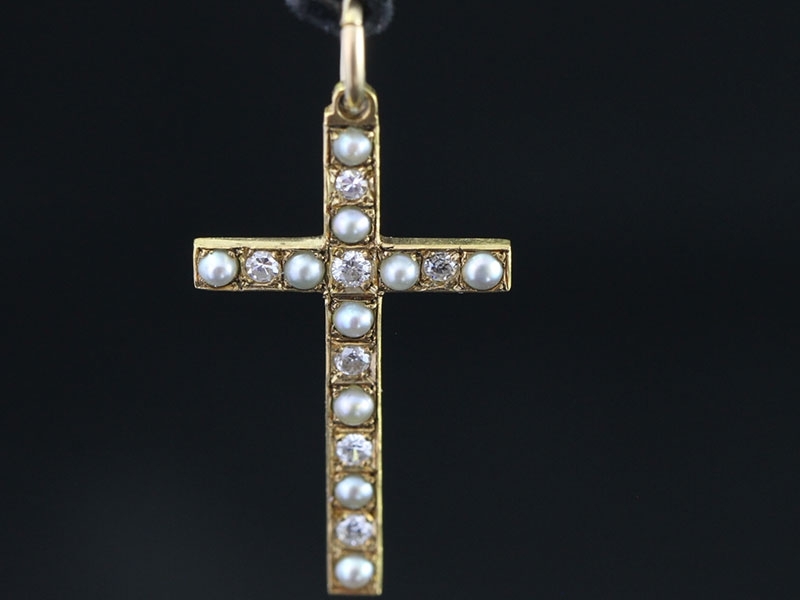 A graceful example of an Edwardian Diamond and Seed Pearl Cross a look of sheer beauty. 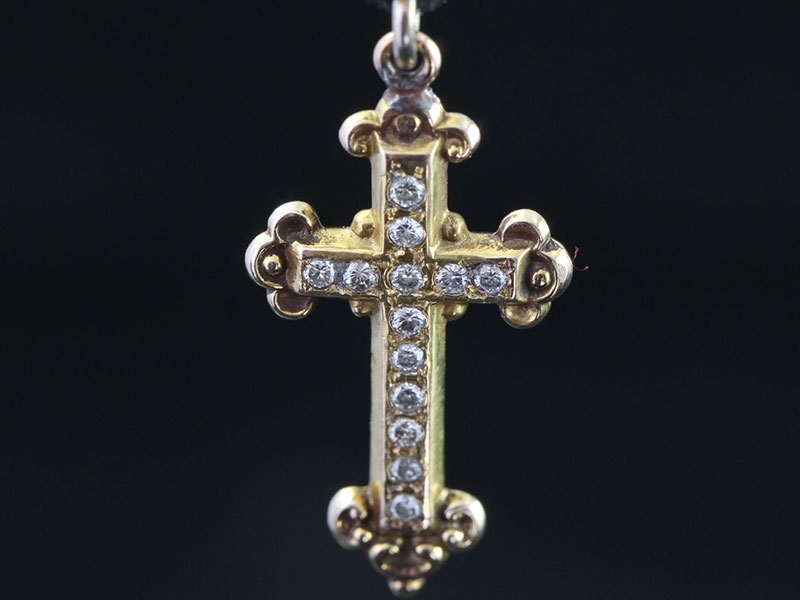 This stunning Edwardian antique cross rates among some of the most beautiful crosses in our book. Whether you love crosses as a symbol of faith or as an emblem of your own personal meaning, there is something about beautiful crosses that has endured for centuries. 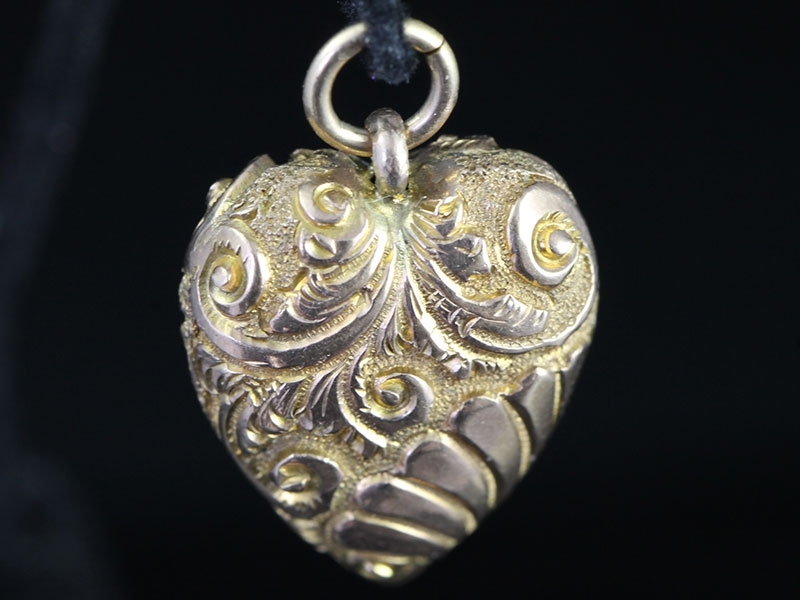 Here is one of the finest hand engraved Edwardian pendants that you could ever come across and one that is so versatile, use as pendant with a necklace or as a charm on bracelet. 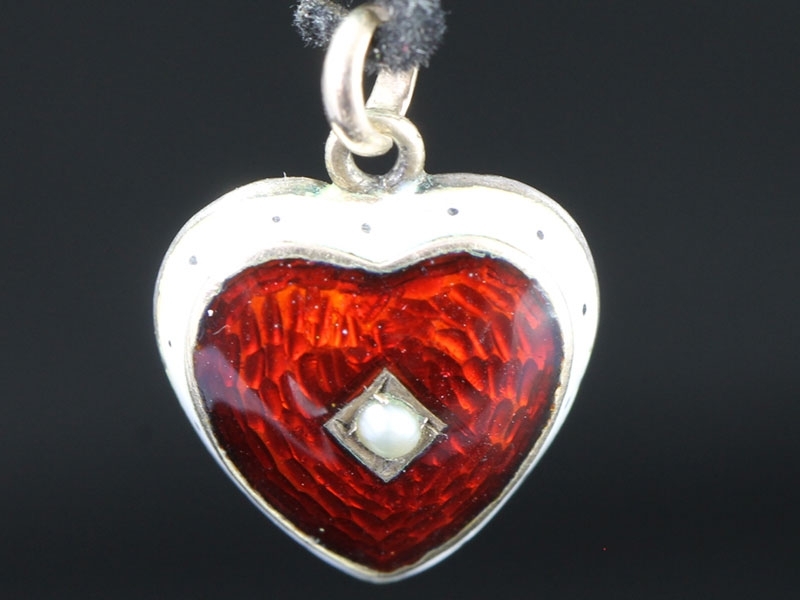 Here is a truly absolutely charming antique pendant dating from the early 1900's that looks divine thanks to the combination of enamel, a seed pearl and of course the heart shape itself.